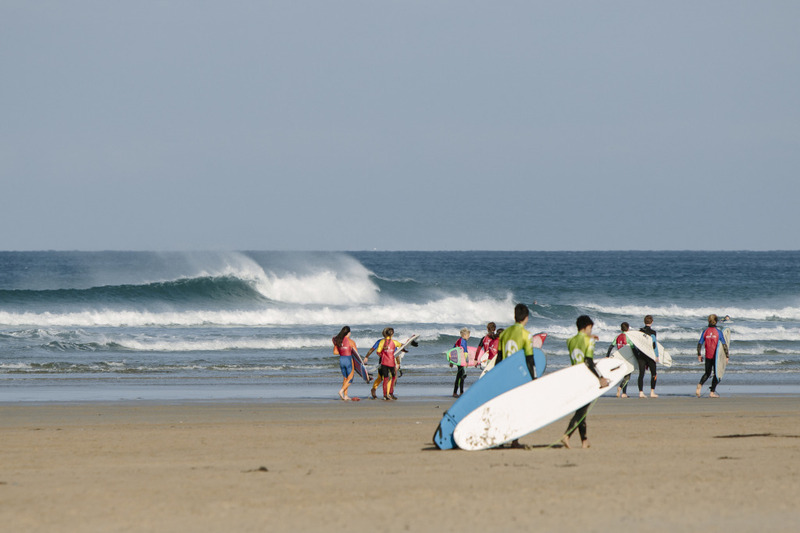 The second Independent Schools Surf Championships took place in Perranporth, Cornwall this weekend in perfect surfing conditions, with over 40 competitors battling it out amongst the 3-5 foot and clean waves. Hosted by surf travel company Ticket to Ride, led by former British Champion Sam Lamiroy, accompanied by top female surf Georgia Timson and the Ticket to Ride team, the four day event took a unique format creating more of an educational surf festival atmosphere than a cut-throat competition vibe. 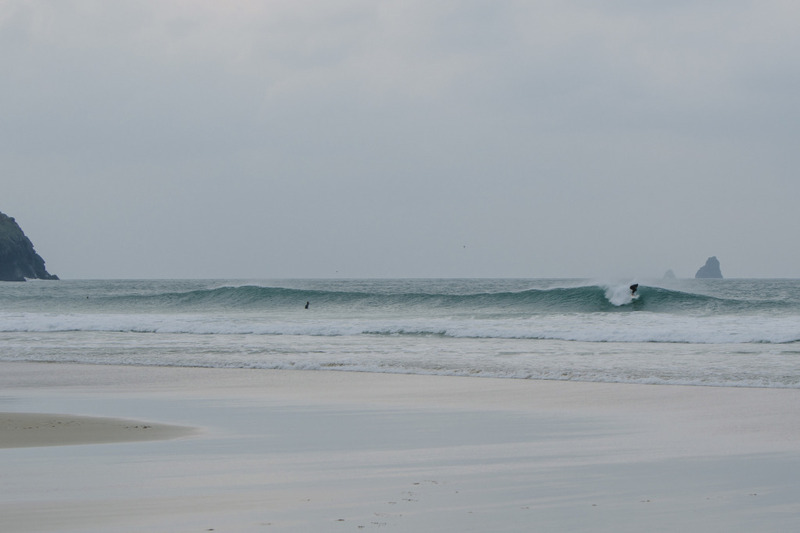 There was a combination of surf coaching sessions, where each pupil was iAM band assessed and given their band colour to mark their ability to provide a handicapping platform for the “Leveller” surf competition, combined with evening presentations and discussions with industry stalwarts and a board surf lifesaving relay. All catering was provided by Seiners Hotel, and during the three evenings the participants were treated to presentations from multiple Surf Champ, long time shaper and general Brit surf industry Legend Nigel Semmens, as well as Sam Lamiroy who gave a truly inspirational presentation on “Life as a Pro Surfer”. On the final night there was a prize giving ceremony and closing supper. Max Hudson from Truro School was crowned the open champion, with Lloyd Stein also of Truro coming second and Sam Stonebridge of Greshams School coming third. Sam took the Leveller win due to his iAM Band handicap, with Max coming second and his Truro School companion Sam Ellery coming third. An extra special shout out goes to Caroline Utterman of North London Collegiate School (NLCS), who took the lead in the girls open division and Heather Morrison also of NLCS who came first in the girls Leveller division. All competitors received prizes courtesy of Ticket to Ride, ONeill, Reef, Dragon Sunglasses, with the winners taking home unique ISSC medals. Chris Hall photographed the event, and all pictures can be seen here. The ISSC is run as an independent event, not an event run exclusively for independent schools. The 2017 event dates have been confirmed as 20th – 23rd October 2017. For more information visit www.schoolsurfchampionships.com. Download the Leveller results here and the overall results here.